This week at Mobile World Congress Barcelona, Facebook and BRCK are announcing the open sourcing of Magma, a software platform that contains the tools needed to deploy and extend LTE mobile networks in under connected and unconnected areas of the world. This includes software powering the mobile packet core and network automation and management tools. The reason this is important is that it allows rapid deployment and software development on a technology assumed to be available only to the incumbent MNO’s, and only with software and networks provided by a few behemoth suppliers (Huawei, ZTE, Nokia, etc.). 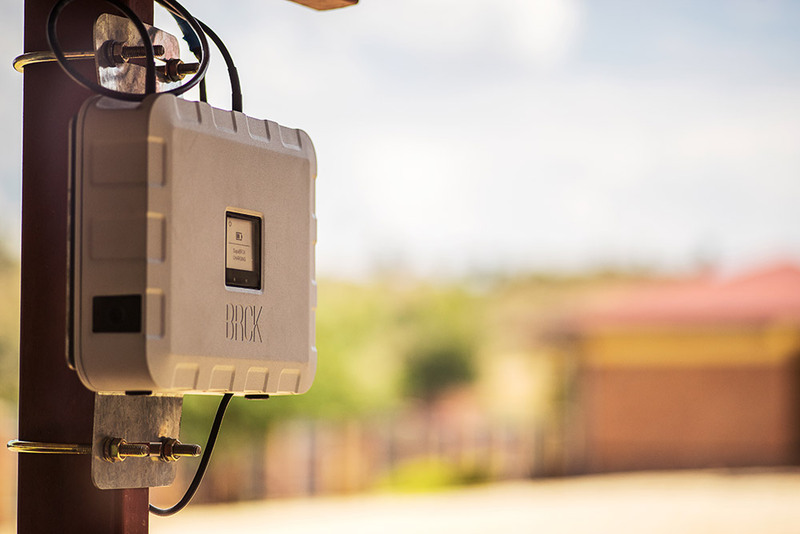 BRCK’s 2,700 WiFi hotspots in Kenya and Rwanda confine Moja users to a radius of 50-100m, a fundamental limitation of WiFi networks. 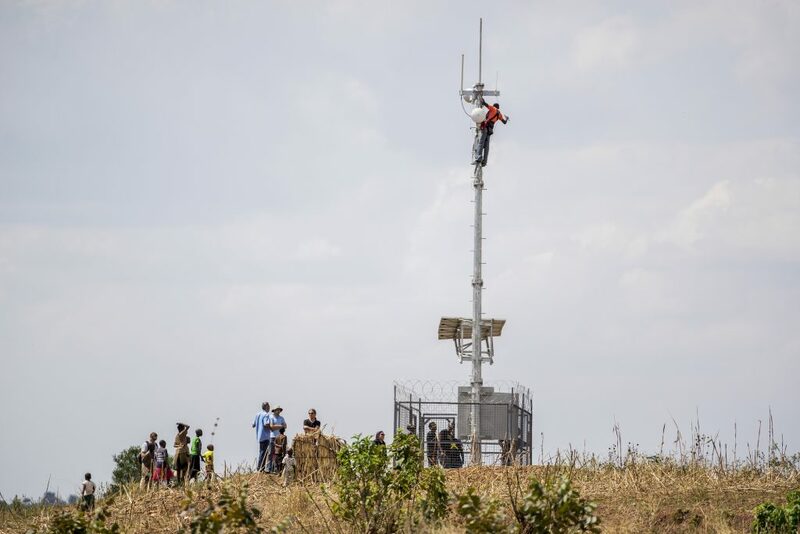 To give users wider coverage, BRCK has been piloting a low cost, solar-powered data-only LTE deployment that extends the Moja network with blanket coverage across kilometers with the potential to cover thousands of people per tower. Our Moja platform is the answer for affordable internet where people can’t pay to get online. The business model allows consumers to connect to the internet for free, leveraging their digital engagement to ensure that the bandwidth is paid for. LTE allows that signal to not just work when you are within range of a Moja WiFi hotspot in a restaurant, shop or bus, but works to keep you connected wherever you are – at home, as you hustle, or on the go. As we continue to expand the Moja network WiFi continues to be the tip of the spear. It’s a great technology with lots of bandwidth, an easy connection model and a very low cost of entry. We are continuing to invest in our work providing WiFI in public transit and have recently invested in fixed access, having recently acquired the Surf network with over 1200 existing sites.. However, LTE has one great advantage: a larger footprint of coverage. LTE operates on licenced frequencies (although there is work being done to change this) and this allows us to use high power LTE radios to transmit a continuous Moja signal over kilometers, not meters, direct to a users device and connect many thousands of people who otherwise don’t have access to affordable internet. 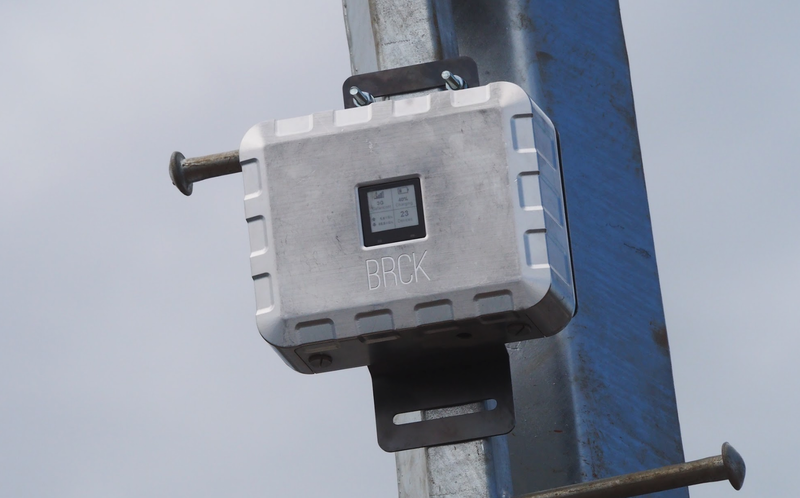 BRCK has embraced Magma as the backbone of our LTE network. The technology is similar to a lot of the work done in the early days of BRCK building high reliability networks in resource poor settings. It distributes the compute load to the edge, allowing for better performance in resource limited settings. It uses modern web compatible APIs and communication protocols that allow us to integrate seamlessly into our existing platforms, and most importantly it breaks the reliance on legacy systems that have put scaleable LTE out of the reach of most. And it’s built on software defined networking, so our upgrade path to 5G isn’t limited by hardware or vendor lock in, just a small matter of programming. We’ve done a lot of work internally to Magma and shared this back into the open source effort. We’ve built out a MEC (Mobile Edge Compute) platform, localising the Moja platform and increasing the speed to the consumer. We’ve built a network monitoring stack for our wireless backhaul links, and we’ve integrated the platform seamlessly into our WiFi offerings and mesh networks that we run. 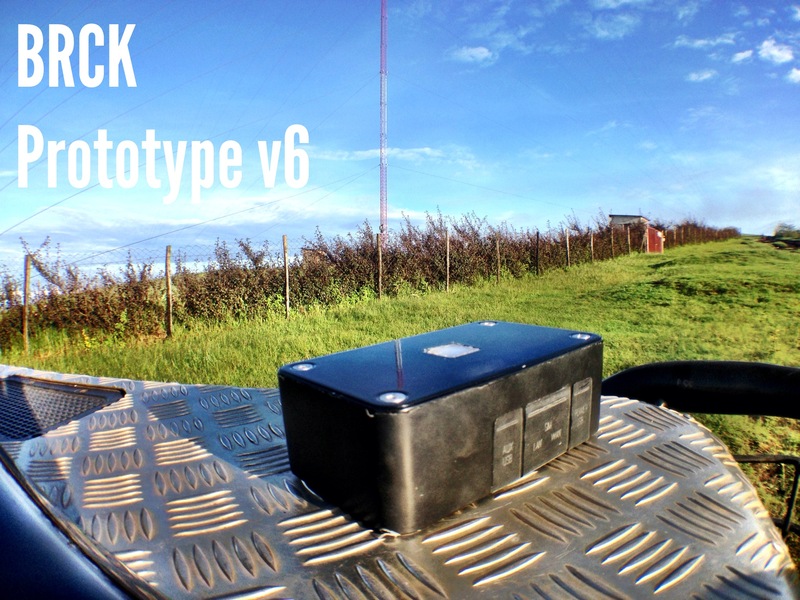 We’ve also been integrating radios from multiple vendors for different deployment scenarios as well as making Magma work with our own SupaBRCK microserver. 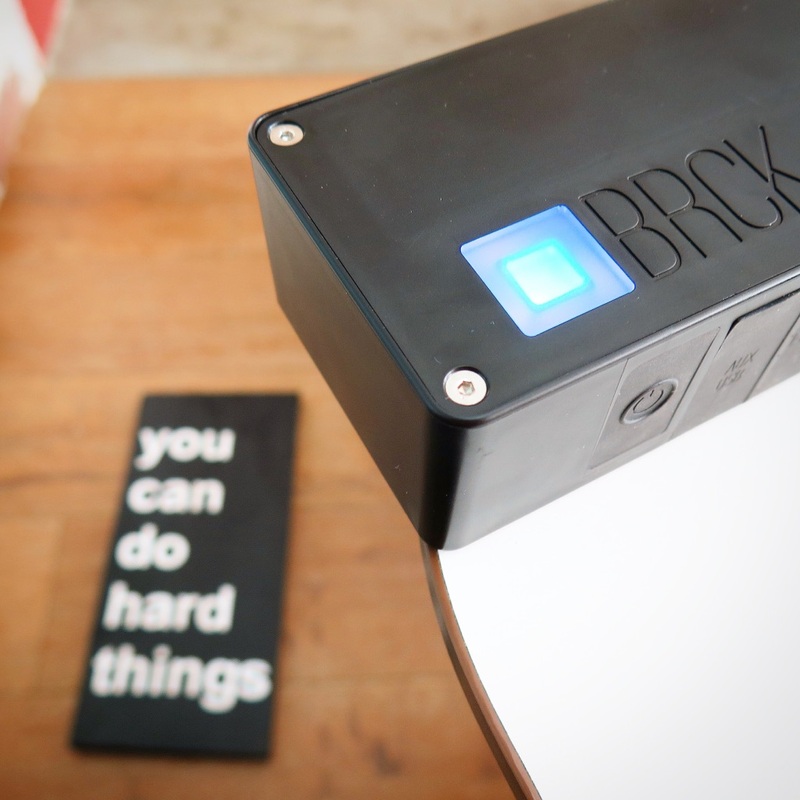 BRCK’s LTE stack is built using the SupaBRCK at its core. SupaBRCK is a rugged outdoor ready. microserver powered by an Intel x86 processor, 8GB of RAM and up to 5TB of storage. Using SupaBRCK and the Magma gateway on the tower lowers the capex and opex of the site significantly by providing a managed all in one hardware solution, and by moving all the critical control traffic off the backhaul network. 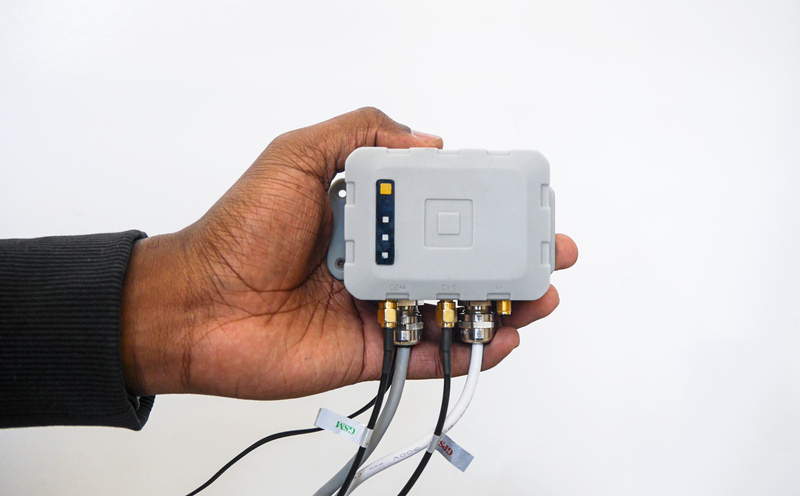 Innovations like this allow for reliable connectivity even in last mile situations with a lower cost of backhaul than achievable with other solutions. Moving forward, we are actively piloting more sites with LTE. 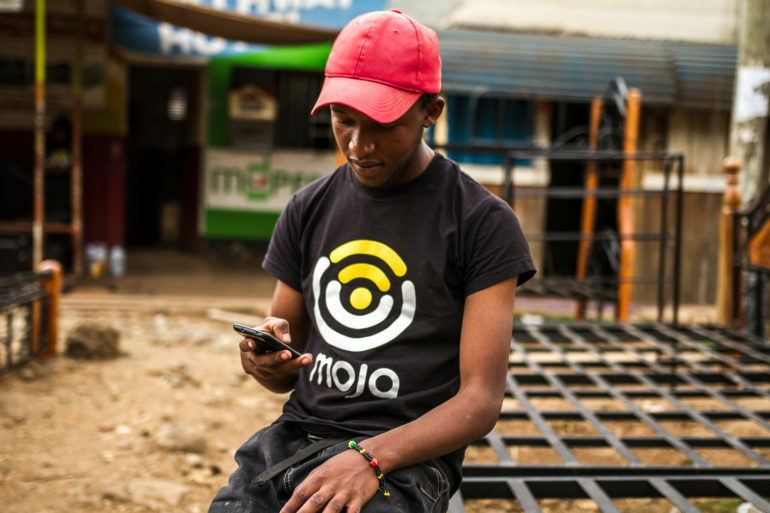 Deploying Moja on a low-cost solar LTE platform allows us to increase our coverage into underserved areas that traditional operators typically don’t see financial viability in. We are excited about solving the Last Mile Connectivity challenge for Africa and other emerging markets. 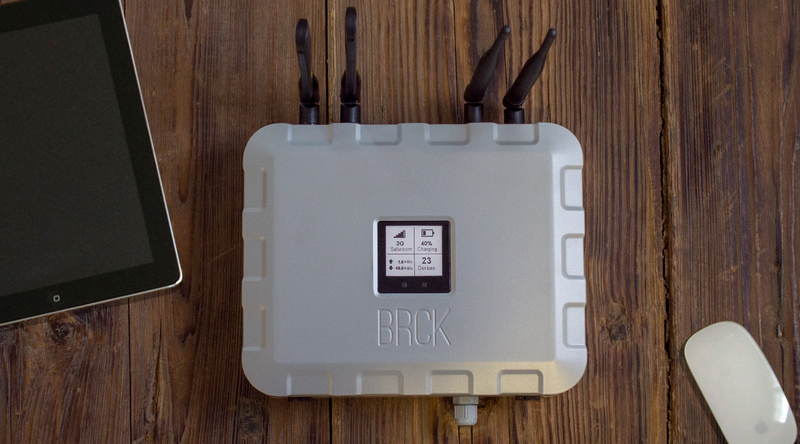 BRCK has long been on a mission to create an onramp to the internet for people who can’t afford it regularly. To this end, we built the SupaBRCK that runs the Moja Network, and then started expanding that service in Kenya and Rwanda. Moja is about getting everyone online, even if you can’t afford it, by having businesses buy services from us (content caching, app downloads, surveys, ads) and subsidizing that usage. The Moja Network has been growing quickly. 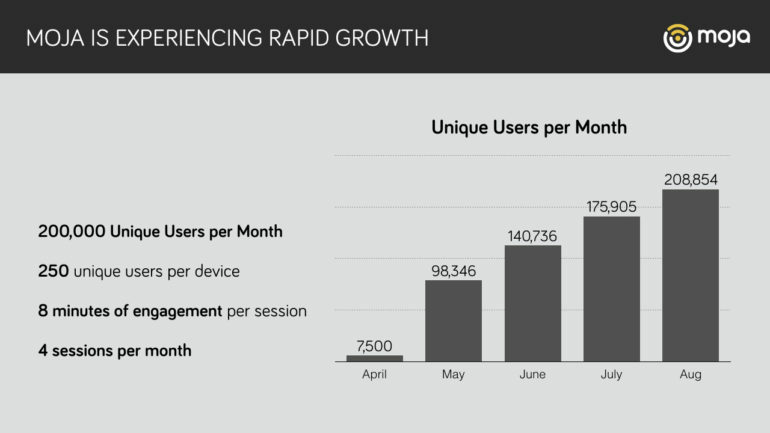 In January, we passed 300,000 unique monthly users and 3.7m sessions per month. This means we’re not only increasing traction with more users, but that our users are returning to the platform 12x per month. 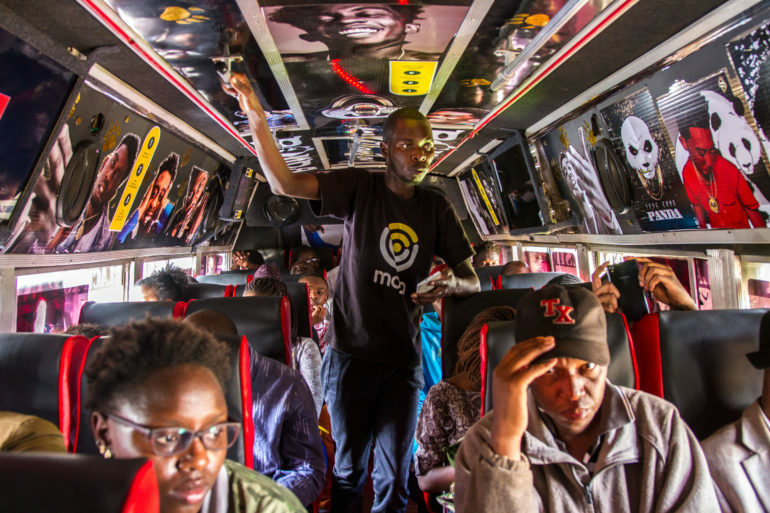 With 1,500 mobile nodes in buses in matatus across Nairobi and Kigali, the Moja Network is one of the largest public WiFi providers in the region. With this rapid growth in the transportation space, we’ve been getting a lot of demand from our users to expand into fixed locations as well. Near the end of the year we entered into discussions with the leadership team of Surf, the largest fixed public WiFi network in Kenya by number of locations (1,200). The conversations about doing an acquisition of their network and IP went well, and we were able to find a way to put those assets under the BRCK umbrella. This acquisition continues the velocity of BRCK’s public WiFi user growth, bringing us close to 500k monthly active unique users, and putting us over 5m sessions per month. This makes the Moja Network the largest public WiFi network in East Africa, and second largest on the continent. One of the great advantages that we were looking for was an ability to have a fixed WiFi strategy to add to our transportation and edge compute model. With the Surf acquisition, BRCK is now able to take off-the-shelf routers, partner with local ISPs, and roll out network faster into fiber-connected locations. All of this will run the Moja platform, so there is a seamless user experience between public locations and public transportation. 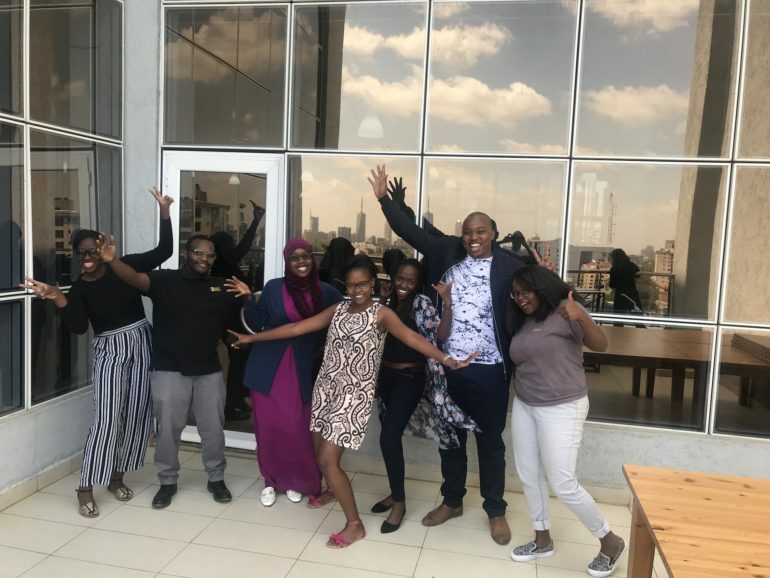 From the 15th to 17th of January 2019, four students from the ALX Launchpad (a leadership accelerator program) joined BRCK to get a feel of how the company operates. I have always been fascinated with Data. I love numbers. For the 3 days that I shadowed at BRCK, I got an opportunity to meet really awesome people who not only inspired me but also were willing to share they knowledge in technology. I was placed in the operations department under Brian Birir, the operations data & network supervisor and he taught me a lot. From data extraction, transformation and visualization to programming, BRCK is a really cool organization and hopefully after I finish my studies in software development/programming I can come back to work for them. I had always admired BRCK from afar, so this week was a true opportunity for me to see the inner workings and how everyone came together to achieve the company’s goal, especially from the design angle. I was lucky enough to be placed with the design team and I was extremely excited! I learned a lot from the brilliant minds at the table and would hope to interact with them more. Each person that I spoke to was willing to fill me in on what they were doing and how they were going about it, which I really appreciated. 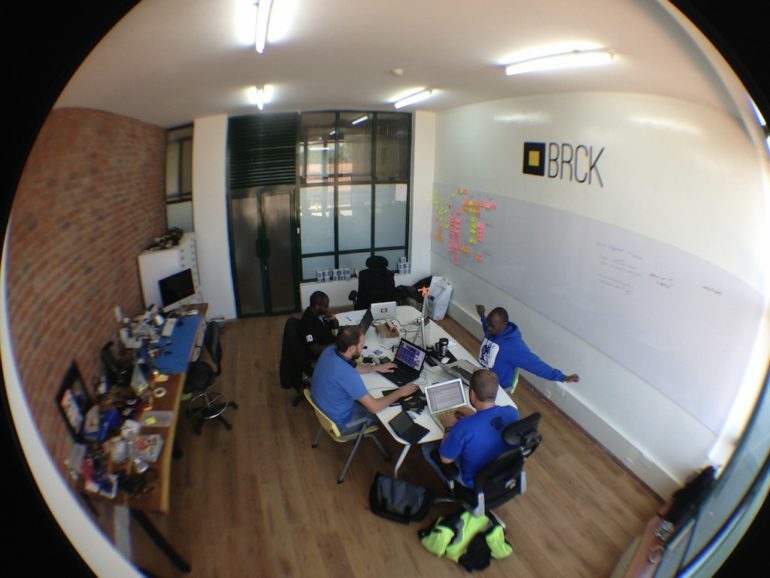 From UX to UI and front-end, everyone in the team played their part in making the BRCK brand what it is today. I also really appreciate how everyone in the company made us feel at home and warm. The culture was very tangible unlike other companies I’ve interacted with. Thank you for making that week what it was. Our first day at BRCK was all levels of awkward at first, now that I have a superpower of getting comfortable even with awkward silence, and Stacy 1.0 is a typical people person. I took the first hour to just settle in and breathe, not knowing what to expect from the world of technology (that we thought didn’t match our preferences). And that beautiful motto “You can do hard things” made us feel at home instantly because it is the same as our ALX motto. Before it could all escalate, we had a sit down with the Project Manager. Literally 2 minutes into the conversation, we learnt so much about what her job entails. We love our project management class so seeing actual Gantt Charts and weekly reports made us light up. This experience gave us the confidence to explore what other people in the commercialization team do. 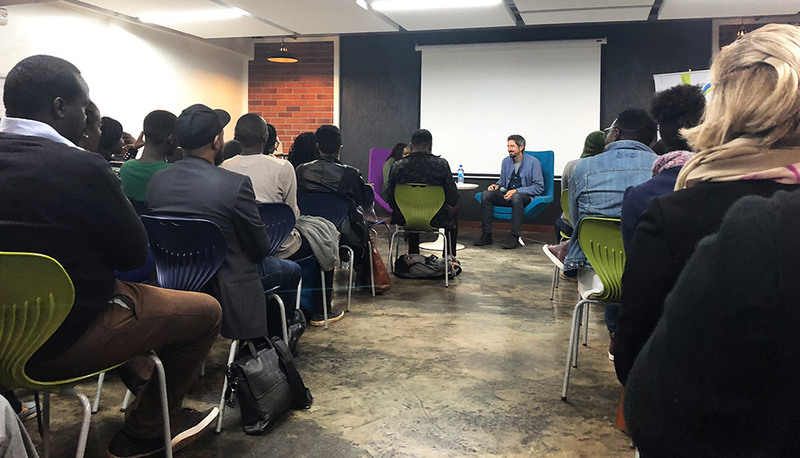 We had eye opening conversations about the world of digital marketing and got tips about how to leverage our degrees in the field of marketing and got to understand the vision behind BRCK. We loved the seamless connection of the different departments to create mind blowing final products. Shadowing BRCK was a blast and a definite turning point for us. We have been motivated to work in a startup environment and in many ways confident to pursue a career in marketing and communications (or us y’all call it … Commercialization). So thank you, a lot for this opportunity. And as we continue to ‘Do Hard Things‘, we only hope and pray our paths cross again. It was 5 years ago that we created BRCK as a company, and I’ve had the great joy of being on a journey with some fantastic people, including the three here with me in this picture (Reg Orton, Emmanuel Kala, and Philip Walton). We had an idea of what we were getting into back in October 2013, but none of us were sure where it would actually take us. 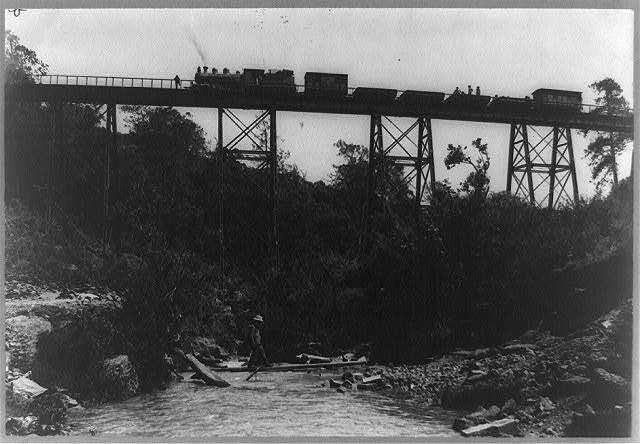 All we knew then was that the barriers to creating hardware had dropped enough for us to get into it, that there was a problem in the internet connectivity space in Africa (and other frontier markets), and that we had the right mixture of skills, naiveté, and optimism to figure it out. Over the next 12 months we grew to a team of 10 that had this the desire to meet a big challenge and believed we could do hard things. As I write this, 8 of those 10 are still at BRCK. 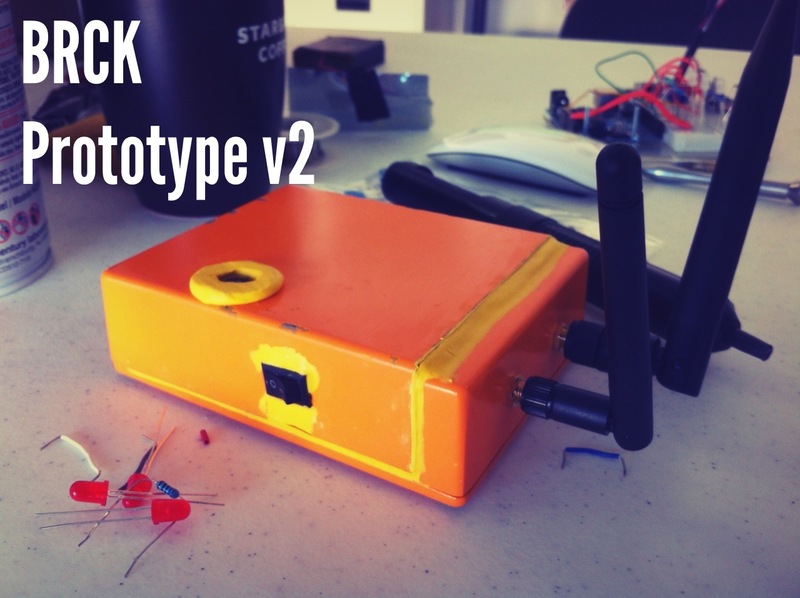 In the intervening years we’ve built 3 full products and taken them to market (BRCK v1, Kio Kit, SupaBRCK), and a fourth (PicoBRCK) that is still in R&D. That alone is quite an accomplishment. I hadn’t known back in 2011 when the idea for creating a device was first hatched, just what the life cycle of building a hardware+software product would be. I do remember having a conversation with an old friend, Robert Fabricant, that I thought we should be done with the first one in about a year. He laughed and said it would be at least 2-3 years. He was mostly right. I’ve since learned that it takes approximately 18 months for a product to go through the concept, design, testing, productization, and first samples stages. Then it typically takes us another 9 months for iterations and small fixes on hardware to happen, while that same time is spent concurrently hardening up the software side of things. For example, our most recent SupaBRCK took approximately almost two years from conception to product, and then another 6 months of continued fixes/changes to the low-level software and the hardware before it worked well consistently. 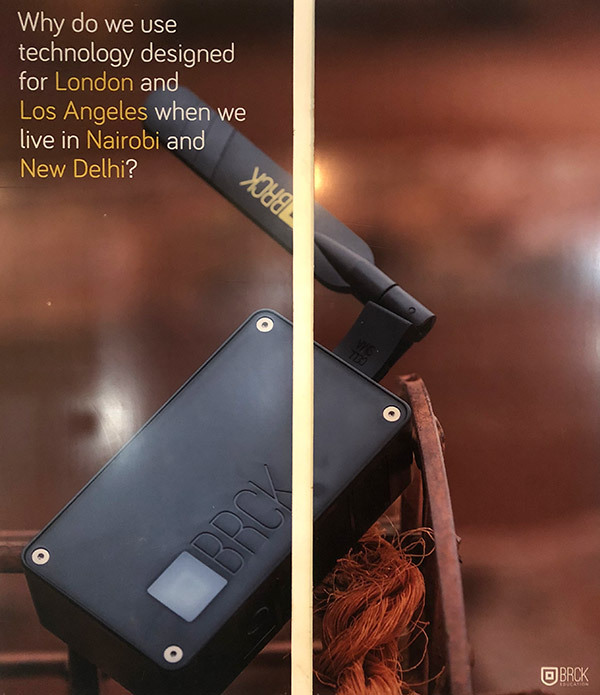 You would often hear us saying, “Why do we use hardware designed for London or New York, when we live in Nairobi or New Delhi?” as a way to frame the problem we thought we were solving. 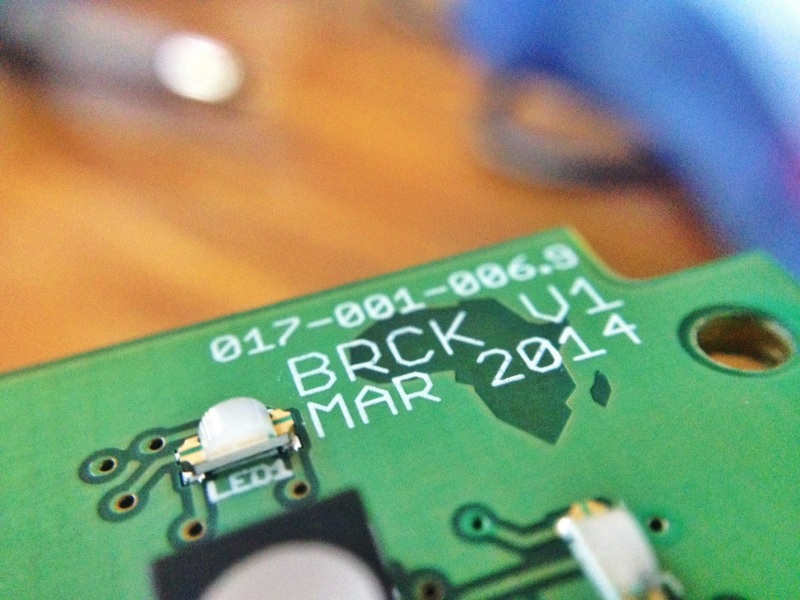 It was only in late December 2014, after we had shipped the BRCK v1 to 50+ countries, that we realized we were only partially on the right track. It turns out the problem isn’t in making the best hardware for connectivity in difficult environments. Sure, that’s part of the equation – making sure that you have the right tools for people to connect to the internet. But the bigger question involves people, who is connecting to the internet and who isn’t? 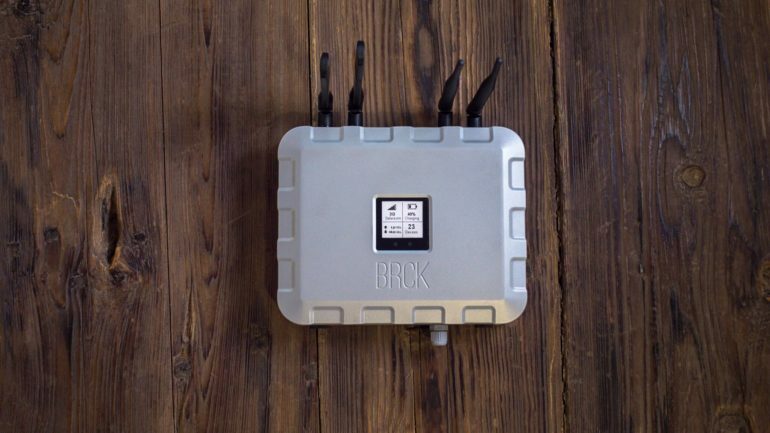 If, after many years of building BRCK, we had built the best, most rugged and reliable solution for internet connectivity, that would be something we could pat each other on our backs for. However, if the problem instead was “How do we get the rest of Africa online?”, and we were able to solve that problem, then that was a legacy we’d be proud to tell our children about one day. Sitting in our tiny office around Christmas 2014, we started thinking hard about this bigger issue and began doing deeper research into the problems of this loosely defined “connectivity” space. We started doing some user experience research, manon the street interviews, to figure out what the pain points were for people in Kenya. First, accessibility – can I connect my device to a nearby signal? Second, affordability – can I afford that connection? The results were quite telling, it was definitely about affordability. 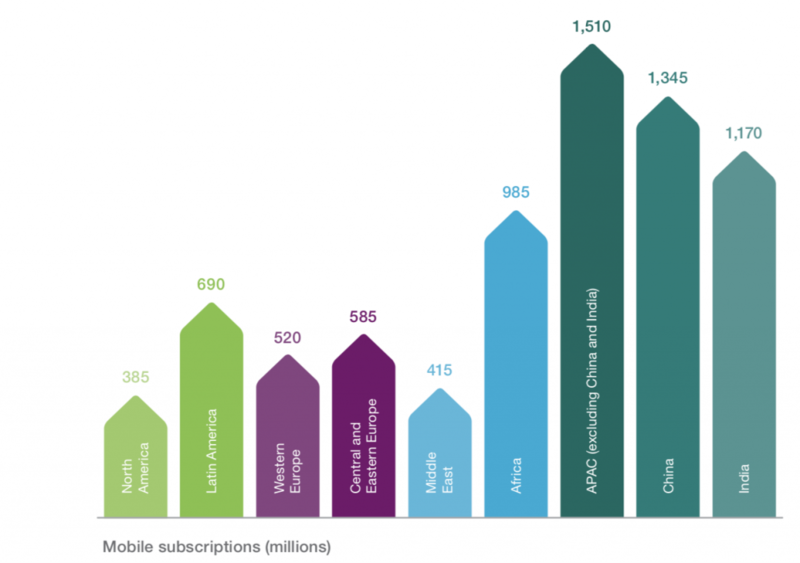 For everyone who’s not deep in African tech, let me lay out some interesting numbers for you. Accessibility in most of the emerging markets has been moving rapidly since the mid-2000s when we started to get the undersea cables coming into the continent. These cables then went inland and started a rapid increase in available internet connections and wholesale internet costs decreased rapidly. Since 2008 we’ve had more than one million kilometers of cable dug across the continent, and we have over 240,000 cell phone towers. Concurrently, the mobile device prices continued to drop globally, and by 2016 we started to have more smartphones imported into Africa than non-smartphones. Reaching deeper into the market research, we started to study this affordability problem. It turns out that in almost every country in Africa, there is a consistent ratio among all the smartphone owners in a country: 20% could afford to pay for the internet regularly, and an incredible 80% couldn’t. Interestingly, when we looked at who else was working in this connectivity space, almost everyone was focused on accessibility, not affordability. Those that were focused on affordability thought that just making the price cheaper was enough. What we’ve seen is that if you just make “less expensive” subscription WiFi (as most do), then you’ll capture another 10% of the market. And while that can make a profitable enterprise, it still leaves 70% of the market unaddressed. This last blue ocean of internet users in Africa, as well as Asia and Latin America, is still largely ignored. Those who do have the resources go to after it tend to try with iterative approaches in both business models around affordability, and only marginal creativeness in solving for technology accessibility. It’s taken us five years, going through multiple iterations of new tech, building new hardware, and creating new software stacks that go from the firmware up to the cloud. We’ve been mostly quiet for the past year as we put our heads down and tried to take a new platform to market. Where are we now? 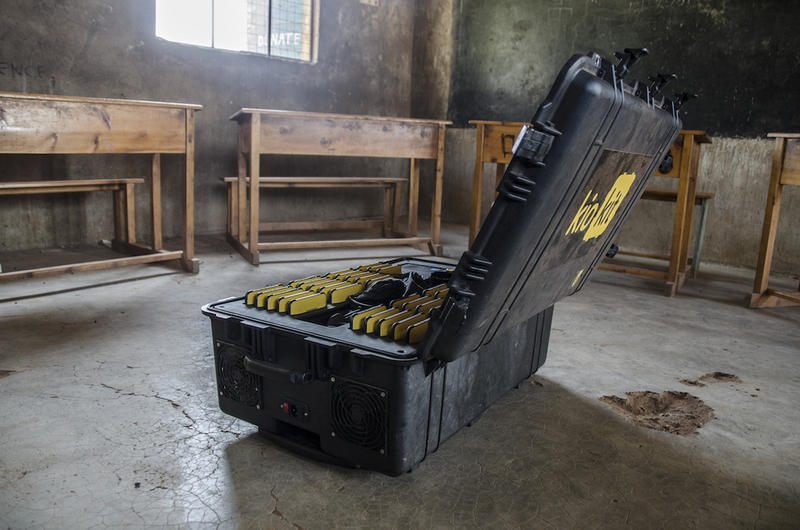 “Moja” means “one” in Swahili, and it was the brand name that we chose to call the software platform that we would build on top of the BRCK hardware. While Moja means one, “pamoja” means “together” or “oneness”, and that was the root we were looking for. To us, Moja is the internet for everyone. We started by trying to make it work on the BRCK v1, but that was a bit like trying to make a sedan do a job built for a lorry (truck) – it wasn’t powerful enough. The SupaBRCK was envisioned as the hardware we could leverage that would allow us to not just have enough of a powerful and enterprise-level router, but a tool that was actually a highly ruggedized micro-data center. With this, we could host content on each device, as well as get people connected to the internet. Another way to think about the accessibility side of what we do is that we have a new model for how a distributed CDN works on a nation-scale, moving away from the centralized model that the rest of the world uses. In environments like Kenya, we can’t continue to just copy and paste models from more developed infrastructure markets, we have to think of new ways to deal with how the undergirding system actually works and operates. We give the internet away for free to consumers. How does that work if we all know that the internet isn’t free? After all, someone always pays. The business model is an indirect one. We charge businesses for some form of digital engagement on our Moja platform (app downloads, surveys, or content caching), and the free internet to our consumers is a by-product of this b2b business model. Like everyone else, we thought we could do it with advertising at first. But we realized that our unique hardware capabilities allowed us some other options, since advertising is a poor option for all but a few of the biggest global tech platforms. Today we’ve deployed 850 of the SupaBRCK’s running our Moja software into public transportation (buses and matatus) in Kenya and Rwanda. They’ve been quite successful with almost 1/4 million unique users monthly in just the first 3 months. We have both a tested and working technology platform, as well as product market fit. With unit economics that make sense, a growing user base, and a business model that works, we’re excited for the growth phase of the business. This next step means going nation-scale in each of these countries, and also determining our next market to enter. It’s important that ordinary people across Africa and other frontier markets can stop thinking about the costs of the internet and don’t have to turn off their mobile internet on the smartphones that they already have in their pockets. Once they know they can afford it, the way they used the internet changes dramatically. An Internet like this is feasible today, and it’s a cheaper, faster, more distributed and resilient one. It’s also being built from the ground up in Africa, where we’re close to both the technology and human problems, and have a better chance of building a the right thing. First, make sure it’s a big enough problem. If you’re going to spend 5+ years of your life on something, make sure it’s something that matters. At BRCK we are creating the onramp to the internet for anyone to connect to the internet, and a distribution platform for organizations trying to reach them. If we succeed we only succeed at scale, which by its nature means that we’ve done something big and that it has made a large impact on people. Second, figure out what to focus on. When you start out it’s difficult to determine product market fit. We started with a wide funnel of possibilities for our technology, industries that we could target and consumer plays. Over time, we were able to narrow down what could work, and what we could actually do, to the point where we focused on this big “connecting people” problem. 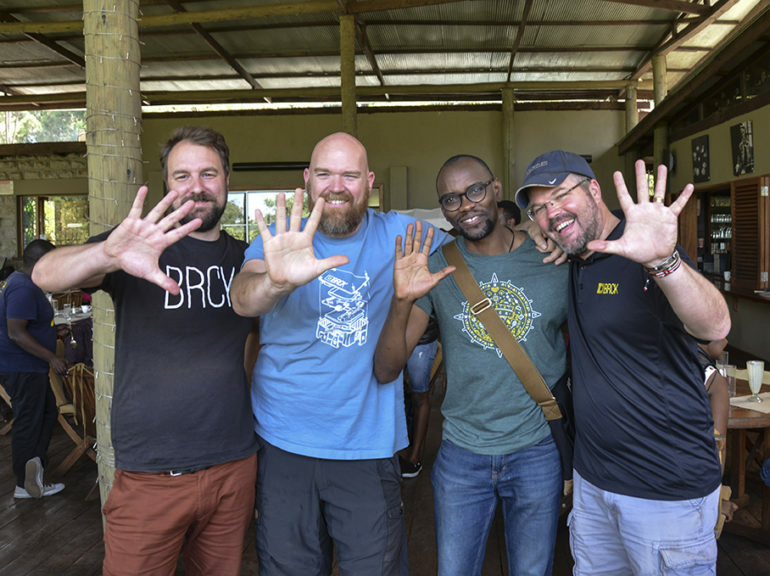 We did detour into education with our Kio Kit, which we still think is one of the best (if not the best) holistic solutions for emerging market schools – after all, it’s in places across Africa, as well as the Pacific Islands and as far as Mexico. However, it proved to be too costly for our bottom line to hold inventory, sales cycles are too long, and it was largely a product sale. When we realized that, we started to focus most of our efforts on the bigger underlying issue across all of the markets, which was affordable connectivity and our Moja platform. building hardware is hard. It’s even harder doing it in Africa. The upside however is that you’re both closer to the problem, and that if you succeed in figuring it out, you have a good head start on everyone else. The process takes time, costs money, and there are people and organizations who don’t want you to succeed. It always takes longer than you want to get software working properly, or hardware built and reliable. We’ve often been faced by that same problem that plagues all venture backed companies in Africa, in that you have to do a lot of education to investors to even raise the capital, and then when you do you get charged a premium for perceived risk. Partner organizations take resources and time to work with, and they don’t always come through on their promises. All of these things (and more) mean that the best ideas don’t always win in the market, because it’s those that push the hardest and longest that win. Fourth, it’s the people you do it with. If you’re going to be on a journey that takes a great deal of time, with intense pressure, and where success is not guaranteed, then you had better do it with people that you can trust, who you can work with, and it helps if you like them too. Throughout my work career I’ve been more fortunate than most (whether at Ushahidi, iHub or BRCK), and this time is no exception. I get to work with a host of wonderful people; not just smart and talented, but also genuinely good human beings. It makes work a joyful challenge, not an exhausting chore. So, to those back in the day who believed we could do this when it was just a sketch in my notebook, thank you Shuler, Kobia, Nat and Juliana (and the rest of the team at Ushahidi). 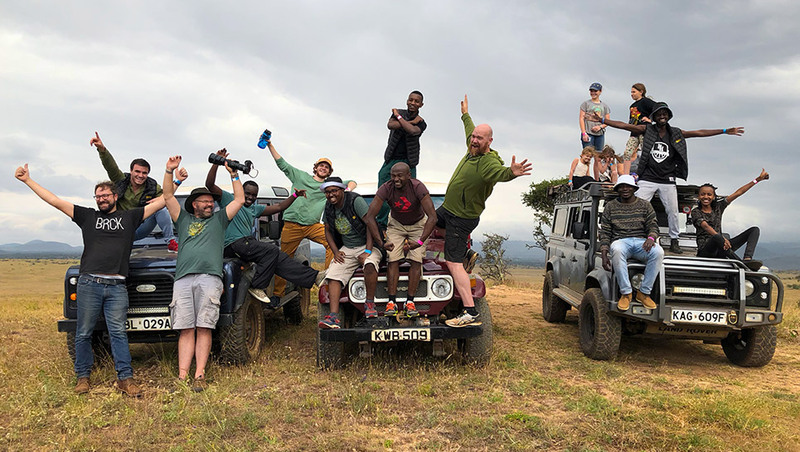 To our investors who have joined us in this dream of connecting and doing hard things, you’ve continued to step up and that has made this possible. Thank you. To Jeff, Janet, Birir, Kurt, Barre, and Oira, thank you for sticking it out for all these years and stepping up to more leadership challenges as we’ve evolved. To Philip, Reg, and Kala, I want to thank you for making the impossible happen, time and again, each for more than 5+ years. 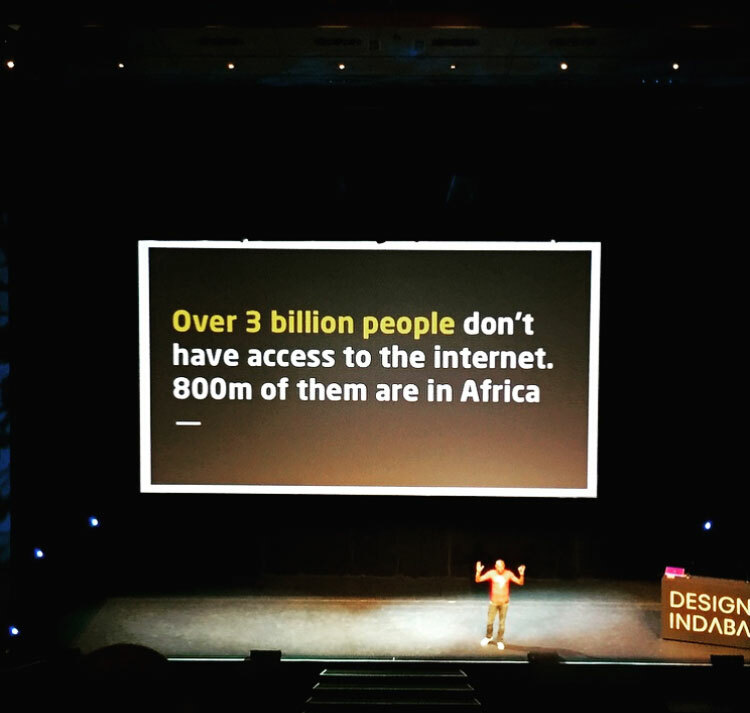 I recently had an opportunity to represent BRCK in the largest design conference in the world, Design Indaba. In the conference I had a chance to represent BRCK’s work, but perharps more importantly, what the work represents in relation to a wider African perspective. Africa has for the longest time endured a perspective and narratives that belie the potential, ingenuity and drive within its borders. The structures of media messaging that still portray Africa in a certain light don’t help. From a practical perspective, people living in Africa have for the longest time seen western multinational companies that control global resources concern themselves with the huge challenges that face the world, specifically Africa. Internet connectivity is a case in point. Over 3 billion people in the world don’t have adequate connectivity to one of the most important socio-economic resource, over 800 million of those are in Africa. 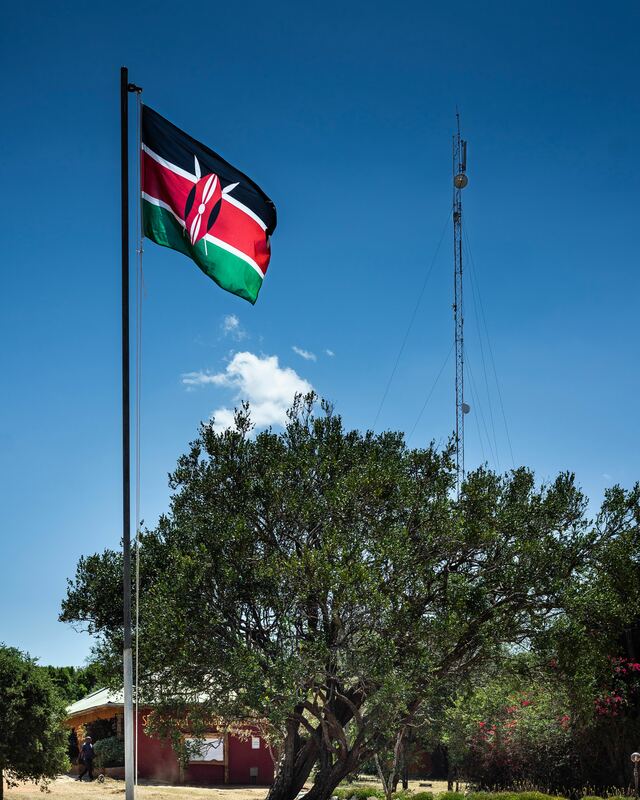 In Kenya, over 35 million of the 45 million people don’t have adequate access to the internet. A majority lack connectivity because they live in places with poor on no internet infrastructure. Many of those who do simply cannot afford it. Studies show the average low income Kenyan can only spend an average of 20Kshs on internet bundles (approximately 20USD cents). If you think of the challenge of connecting the next 3 billion people to the internet, I wager the first people who come to mind are the large companies like Google and Facebook. We have an invisible ceiling of what scale Africans and African companies can think of solutions for Africa. Why cant African companies think of these Lion sized challenges for Africa? Due to lack of resources and other reasons, we relegate ourselves to scratch the surface on issues affecting Africa and Africans, while we surrender the solutions for Lion sized challenges to the west. BRCK and BRCK products challenge this ceiling and with good reason. 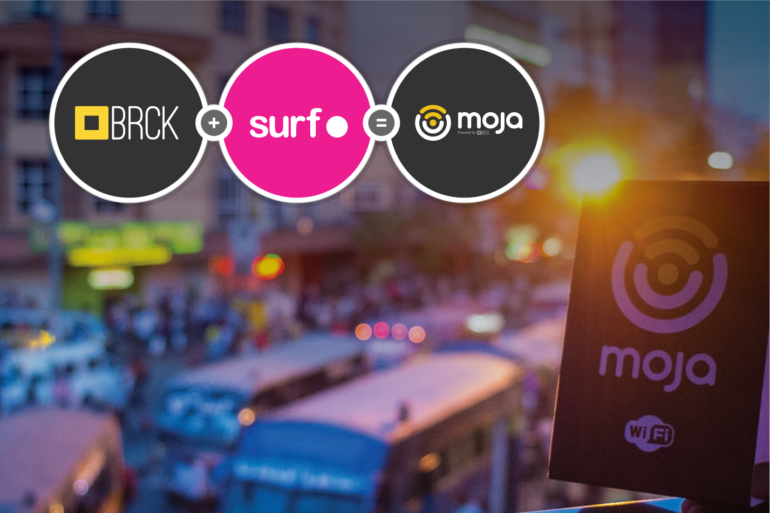 With SupaBRCK and Moja, we have been working tirelessly to establish an infrastructure that does not rely on traditional infrastructure to connect people to the internet. 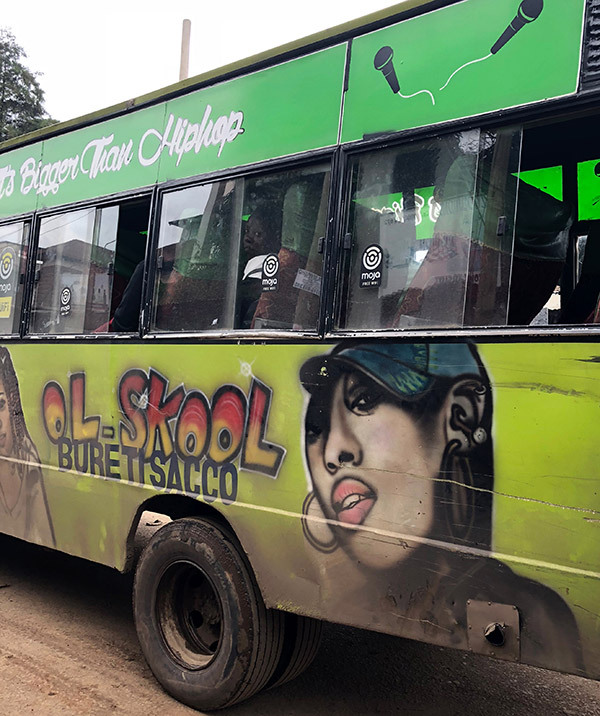 Imagine getting into a matatu and getting free internet connectivity. BRCK is taking ownership of the connectivity challenge and thinking big. We are connecting the unconnected 3 billion one user at a time. The same to education. 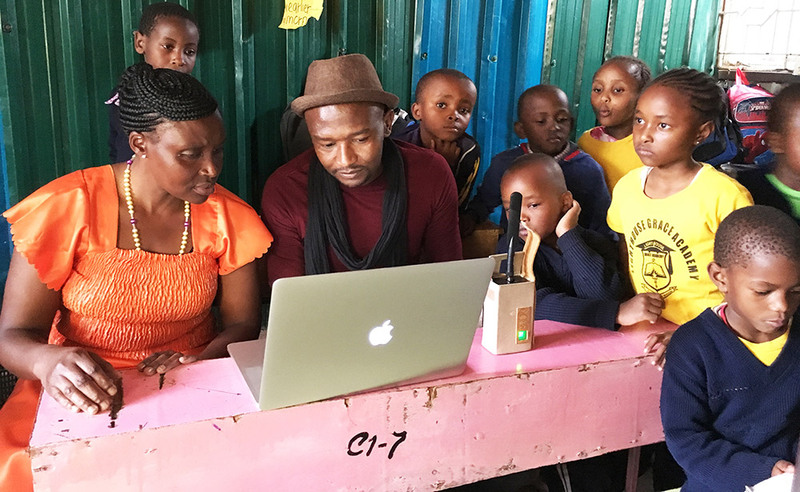 The Kio Kit stands on the shoulders of the predecessors who have come to Africa and try to solve the challenge of providing digital solutions for education in African classrooms. 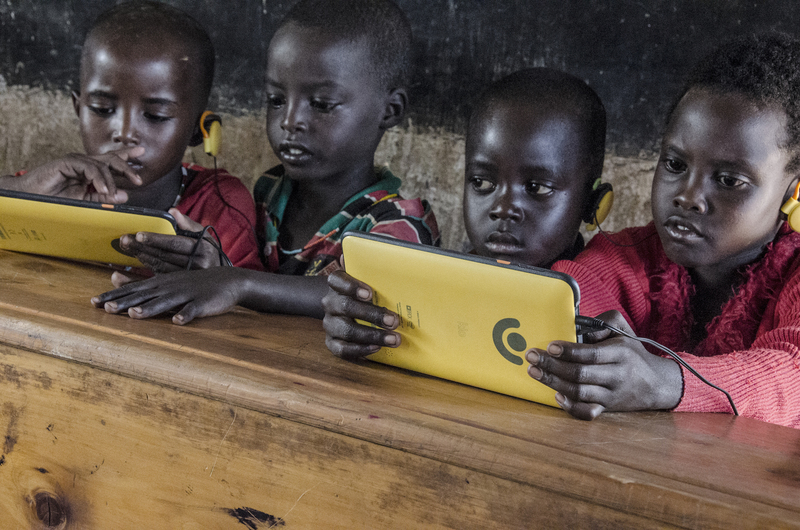 They include one laptop per child from MIT media lab and others. We have taken learnings from challenges these deployments have and built a solution that relies on deep contextual research and design to develop a solution that is pushing digital education even further. Presenting real examples of how BRCK is taking on Lion sized challenges for Africa resonated with the well informed crowd at design Indaba, and was in line with like minded speakers who embrace a proactive, afrofuturist perspective that is pushing Africa forward in various fields of media, the arts among others. It also is quite something that the largest design conference is In Africa. Way to go design Indaba, Way to go Africa.